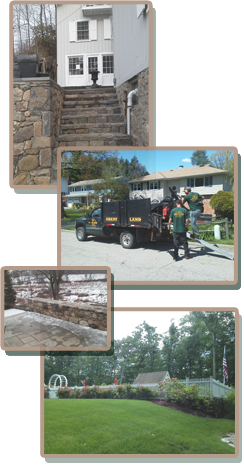 We at Greater Westchester Multi Services know that you have many choices for your landscape and indoor and outdoor general maintenance services. That is why we have worked hard to build our reputation based upon understanding your goals and providing quality results that will meet or exceed your expectations. We strive to create good working relationships with our customers built on trust and understanding. We guarantee our work and guarantee your satisfaction. We hope to build long-standing relationships with our customers. Your objectives and your outdoor lifestyle, as well as the specific needs of your property are carefully considered to reflect a landscape that will provide beauty, function and increase the value to your home or property. We know that curb-appeal is critical and maximizing the beauty of your property enhances your outdoor living space and has a positive effect on your home's appearance and value. Owner Miguel Naranjo and his staff are known for their professionalism, quality workmanship and service in the design, installation, and maintenance of residential and commercial landscaping, trees, gardens, masonry, and other indoor and outdoor services. Our staff includes a wide range of professionals who are dedicated to their craft. We are fully licensed and insured. All of our services are performed with the professional and personalized attention our customers deserve. Please review our website and photo gallery to see our work - a picture speaks a thousand words. You can also read some of our customer testimonials - all testament to our guarantee of satisfaction to you - our customer. Call us today to learn more about our services and how we can help you create and maintain your outdoor living space - 914-804-7625 or 914-666-7542. Our mission is to help you create an maintain your idea indoor or outoor living space to complement your home, property and lifestyle. "